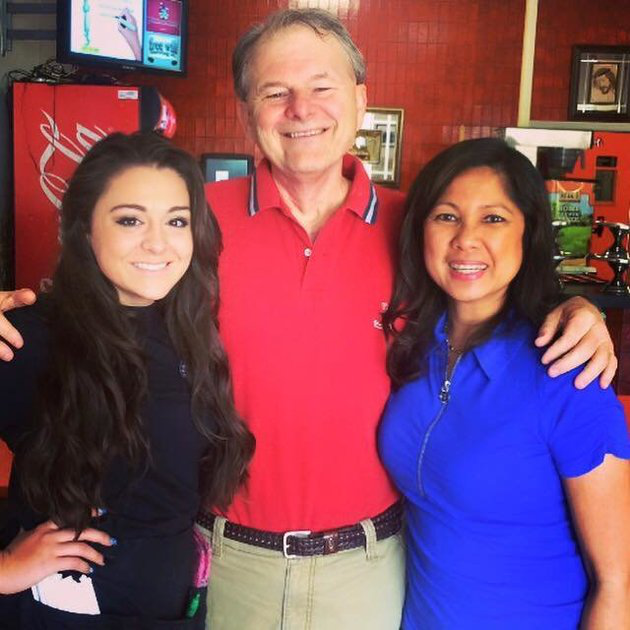 After eating at Brother's Pizza in Hamilton, New Jersey on August 27, 2015, Rick and Annette Lewallen received their check along with a surprise from their waitress, 17-year-old Daniela Bossi. According to NJ.com, Rick has been fighting brain cancer since April, 2015. Bossi, whose little sister is the best friends with one of the couple's children, knew about his diagnosis and decided to cover the couple's bill using her tips. “For putting up the biggest fight, this one is on me,” Bossi wrote on the check. Since her good deed has gone public, Bossi has been featured in many stories online as well as on the front page of a local newspaper. The teen said she was “at a loss for words” with all the attention her story had received. “My dad and I are always talking about ‘Oh, how funny it would be to wake up one day and just be famous,' and really that's what's happened,” she said. The heart-warming story gets even better, though. Brother's Pizza, where Bossi has worked for two months, reimbursed(给报销) the teen after she paid the couple's bill. Now that's a perfect reward for a beautiful act of kindness. 1. Bossi knew about Rick's story from _____. 2. Why is Bossi happy to share Rick's story? A To give others a surprise. B To help him become famous. C To do something for his family. D To praise him for his excellent service. 3. We learn from the text that the public _____. 4. After Brother's Pizza knew what Bossi did, it _____. 5. Why did Annette post Bossi’s photo on the Internet? A Because she wanted to thank Bossi. B Because she wanted to get more money. C Because she wanted to be famous. D Because she wanted to share the story.